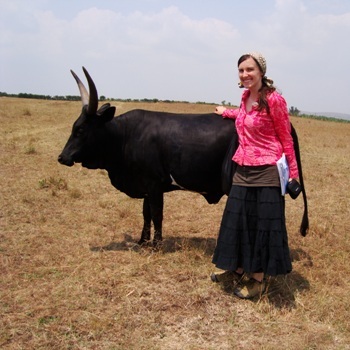 My goal is to combine my passion and experiences with knowledge and skills in order to conduct meaningful research that strives to sustain and improve the livelihoods of farmers and the quality and biodiversity our food systems. Knowledge that values the earth and its diversity will guide us toward sustainable solutions. “Can you do something for us Miss Karly?”. After many years, these words from a small group of struggling farmers in south India still ring clear in my ears. In university I had studied some of the problems facing Indian farmers, but at that point it was different. The problem was standing in front of me. What could I do to support these farmers? Karly received a MSc in Agroecology from The Norwegian University of Life Sciences (UMB) and The Engineering School of Agriculture, Alimentation, Rural Development and Environment (ISARA-Lyon) in 2012. She received her BA from the University of California, Santa Barbara. 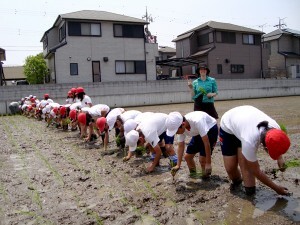 While studying agroecology, Karly became very interested in the intersections between food and energy, an interest that intensified with the onset of Tokyo Electric Power Company’s (TEPCO’s) Fukushima Daiichi Nuclear Power Plant disaster in Japan in March 2011. Having lived in the Kansai region of Japan for two years prior to commencing her studies, she decided to focus her MSc research on the experiences of people living in the Kansai region, particularly on their experiences of everyday eating following the onset of TEPCO’s nuclear disaster. In 2015, Karly received a three-year University of Otago Doctoral Scholarship for her PhD studies at the Centre for Sustainability. Building on the findings of her MSc thesis, her PhD thesis explored the coordination of everyday eating in the aftermath of TEPCO’s nuclear disaster. Her thesis, Eating a nuclear disaster: A vital institutional ethnography of everyday eating in the aftermath of Tokyo Electric Power Company’s Fukushima Daiichi Nuclear Power Plant disaster, draws from the fields of science and technology studies, material semiotics, environmental sociology and institutional ethnography. Her thesis was granted an Exceptional Thesis Award by her examiners, placing it in the top 10% of theses they had supervised or examined. Upon finishing her PhD, Karly returned to the Kansai region of Japan where she is currently seeking employment and exploring opportunities to collaborate with people and groups actively grappling with the multiple messy troubles of the Anthropocene.